FREE PAINTING CLASSES FOR KIDS from 7-12 years of age will be offered over the weekend. Classes will be held in the kids’ classroom inside the Peter and Mary Muth Interpretive Center. All materials are supplied and participants will take home a completed painting at the end of class. Student space is limited and classes will fill up quickly. Plan now to provide a special fine art experience for your child. To reserve a spot for your child click on the link (coming soon). This festival of fine art is a collaborative event organized by Newport Bay Conservancy in partnership with SOCALPAPA and Orange County Parks. SOCALPAPA’s nearly 200-member association dedicates itself to painting outdoors from life. For more information about SOCALPAPA, visit the association’s website, www.socalpapa.com. Each year artists from SOCALPAPA venture into the outdoors throughout Orange County, inspired to paint its beauty. Their creations are regularly displayed in the Peter and Mary Muth Center’s gift shop. A portion of each painting purchase goes to protecting and preserving the Bay. The Newport Bay Conservancy and OC Parks are proud to host an ongoing exhibition of select paintings for sale throughout the year. 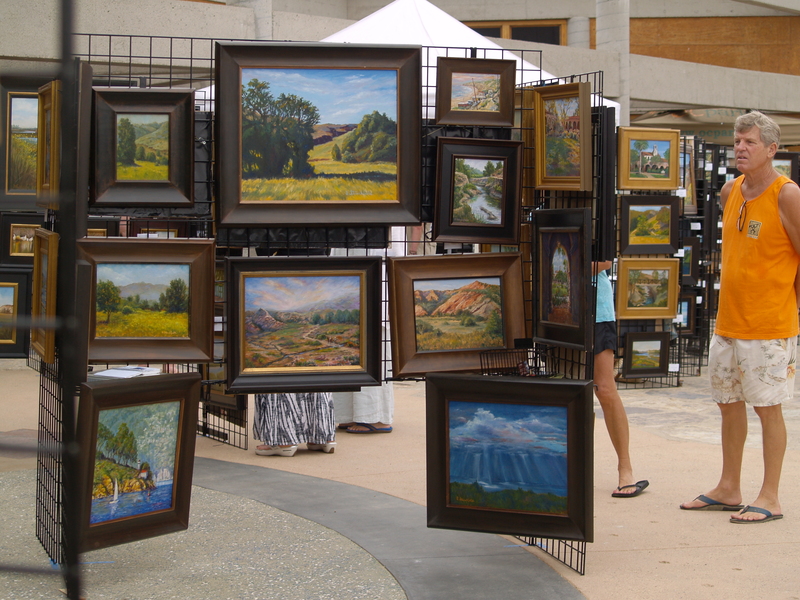 Paintings are by top Southern California Plein Air Painters Association (SOCALPAPA) artists, whose works are shown in many galleries throughout Southern California. Each quarter three different SOCALPAPA artists display paintings at the Interpretive Center.